Organizations that rely on texting. Organizations with low tech literacy on their teams. Organizations with little ability to manage tools like this. 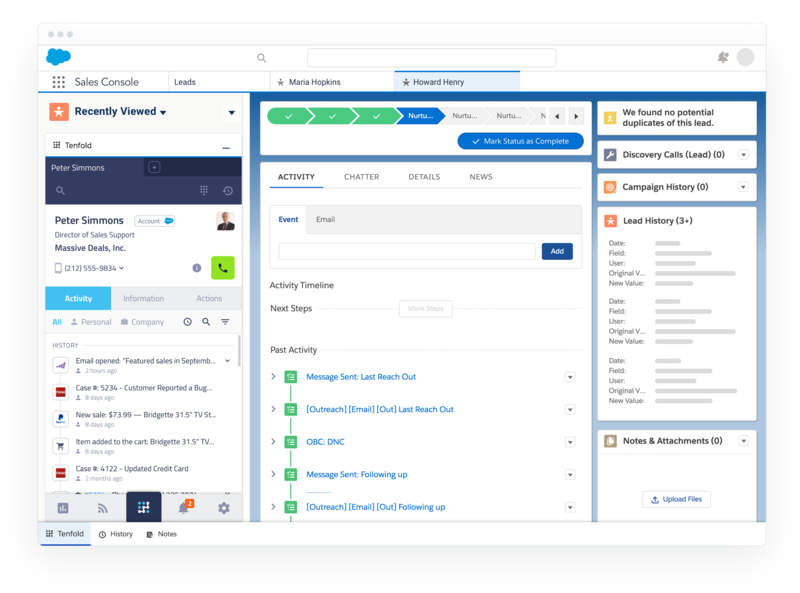 If there are situations where a customer is hard to reach, Tenfold allows easy pushing forward of reminders.In a high volume call system, it provides the ability to focus on your productivity and let Tenfold worry about the call logging, scheduling, and general call management on a day by day basis. Easy dialing and call logging. The process of starting or answering a call, then logging a call disposition with its notes, is simple and easy. Voicemail drops. You can pre-record voicemails to leave for customers without needing to speak the voicemail content each time. This is a huge timesaver for our reps.
You can customize the call dispositions / call labels to match what's used in your CRM. Text. Texting is incredibly difficult on Five9. We've had issues with only some texts logging to Salesforce, issues with threading of text conversations, and issues with having Salesforce contact information appear on the text widget (knowing who you are texting, not just their phone number). The interface to "pause" is challenging. There are not good reminders to our reps to remember to pause or log out of Five9. If you forget to log out, this can affect stats about who worked the longest hours that day - and it's hard to know who actually was active on the phones. Inbound voicemails are too-easily hidden. It's challenging for a lot of our reps to remember to check their inbound voicemails because it is hard to access them in the Five9 widget. We felt Five9 was the stronger and more cost effective solution for us. This was a cheaper alternative that we looked at originally and decided that we were going to pass. I can't say a TON about it but the gamification and the streamlined UI of the main reports page definitely aided our decision to use tenfold instead. We're paying a little more for Tenfold, but again, we really think it's worth it and ceased looking for alternatives to this day. 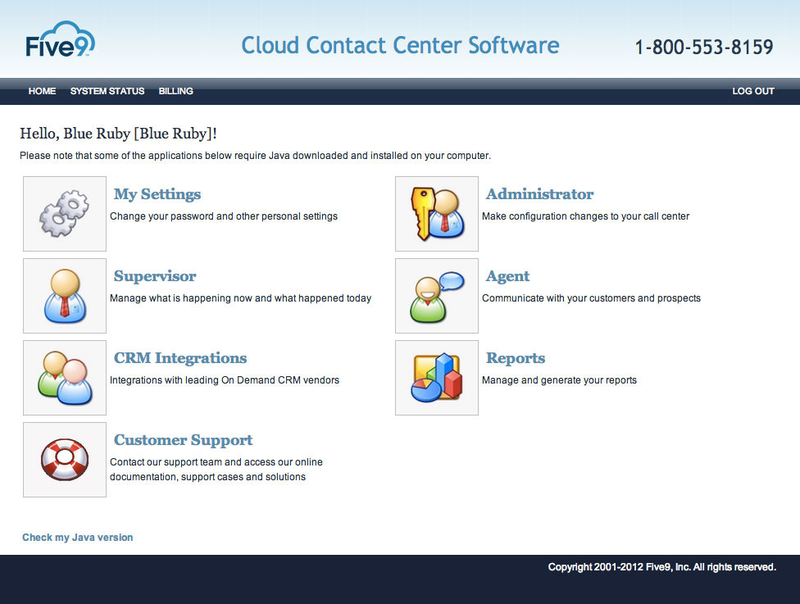 Cost savings: Five9 replaced a premise-based outbound dialer and a different virtual call center solution for inbound. Cost savings: Five9's voice over IP is less expensive than the land lines we were using. Cost savings: Five9 requires significantly less management than our previous solutions. Increased outbound productivity - more calls = good. Earlier catching of mistakes through sophisticated tracking cuts down on turnover.